Hi crafters! 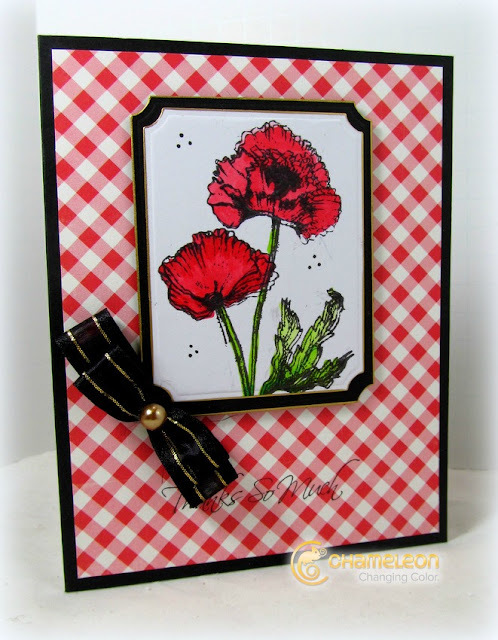 Today I want to share a card I made using Chameleon Pens and Flourishes stamps. I used RD4 and YG3 to color the poppies and some Carta Bella patterned paper. I hope everyone enjoyed my quick post for the day.